"Your vision of success will be central to how we will work together"
An opportunity to change your financial future is here. The collaboration of Rosy Shang and her team, of TD Wealth Private Investment Advice, can give you the opportunity to achieve the goals and dreams you have for your best financial future. Rosy focuses on assisting new immigrants in deploying their wealth into the North American investment market. Rosy has worked with clients from different parts of the world and for numerous years and has built long-term relationships to help families and entrepreneurs achieve their personal vision of success, and transfer wealth efficiently to the next generation. After seeing declines of nearly 10 per cent in equity markets in December, investors are breathing a sigh of relief. Kim Parlee talks with Bruce Cooper, CEO and CIO at TD Asset Management. Angela is passionate about assisting clients with personalized portfolio management by implementing active investment strategy. 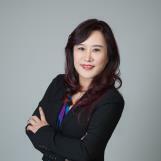 She strives to deliver precise and effective Investment planning solutions. With 9 years experience in financial industry, Angela previously worked at RBC Dominion Securities, BMO Nesbitt Burns, HSBC, and Capital Securities in China. She has completed Charted Financial Analyst (CFA) level I and is pursuing a Certified Financial Planner (CFP) designation. Outside of work, Angela enjoys dancing and spending time with her family. Kan joined Rosy's team in 2017, his primary duty is to provide administrative support to Rosy. Kan graduated from Thompson River University as Finance major, he has more than 5 years customer service experience and able to speak English, Mandarin and Cantonese.